There are many things that people call love but in the course of time, they realise it’s something else. A distinction is sometimes made between love and lust, love and infatuation, love and admiration and the list goes on. A few months ago, I wrote a poem in which I gave my take on how to identify true love. You can check out that poem by clicking on its title below. Today, I present 10 capsular thoughts on the nature of true love. Do you agree with these thoughts? I’d like to know the ones you like best, the ones that really struck a chord with you. Perhaps, there are angles I overlooked. Do share one or more quotes that you think cover those angles. As is my custom, I’ve included titles of posts from which some of these quotes were lifted, modified or inspired so you can take a look, if you may, to see the context in which they were coined. You are blessed! 1. True love is accepting, understanding and affirming. 2. True love brings out the best in you. 3. True love puts its object before itself. 4. True love is not vengeful. Rather, it freely forgives. 5. True love is consistent. It does not wax and wane with situations and seasons. 6. True love knows how to enjoy companionable silence with its object. 7. True love embraces commitment. It does not circumvent it. 8. True love is fulfilling. It doesn’t leave you hung out to dry. 9. True love may not be picture perfect but it will precisely suit your needs. 10. 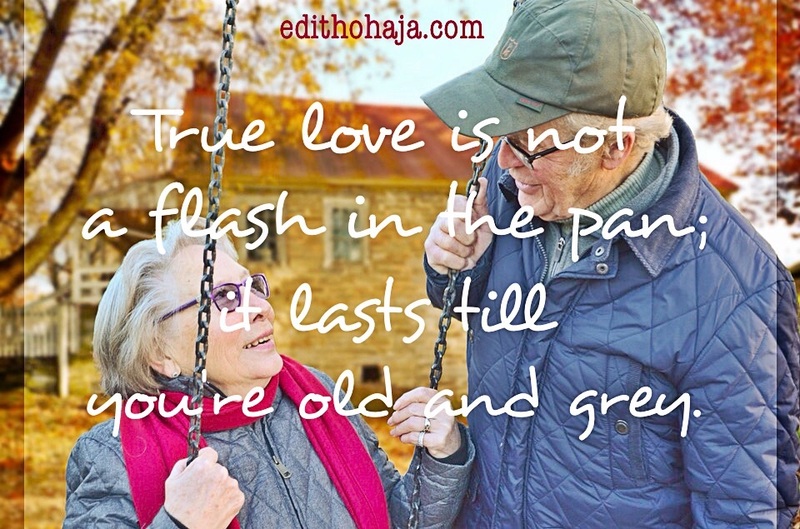 True love is not a flash in the pan; it lasts till you’re old and grey. Ultimately, the best way to know true love is to come into a relationship with God through our Lord Jesus Christ. We (the saved) are the bride and Christ is the groom. How He loves us is the model for how others should love us and we should love them back. You can follow my Twitter accounts for a constant supply of inspirational quotes. You can also check the category, Self-composed Quotes, here on edithohaja.com. You are blessed! You can also like my Facebook page, Aunty Edith, follow me on Instagram, Twitter (1), Twitter (2), and Pinterest Plus, you can connect with me on LinkedIn. Jesus is Lord! Am delighted to have an opportunity to have you in my time to educate me on what Love is. Thank you, madam, and God bless you. Thanks a lot for appreciating this and God bless you greatly too, Chibueze! Thank you so much, Cyril, and remain blessed! True love brings out the best in you. This one really struck me because I've seen people who claim to be in love yet they are being trampled on and their dreams stifled. True love indeed will delight in bringing out the potentials hidden in one to a positive light. Nice one, Ma. Thanks a lot, Precious! People that love us serve as the mouth, hands and eyes of God to us. You are richly blessed in Jesus' name. Everyone needs to understand the difference betwen true love and lust. Youths nowadays can't seem to distinguish the two. Your post shows that true love brings out the positive aspects of a person. True love is not vengeful. Rather it forgives freely. This really got my interest. *True love may not be picture perfect but it will precisely suit your needs* this one got me. truly it is not perfect but will surely suit your needs. thank you ma for opening my eye to this. Glory to God! 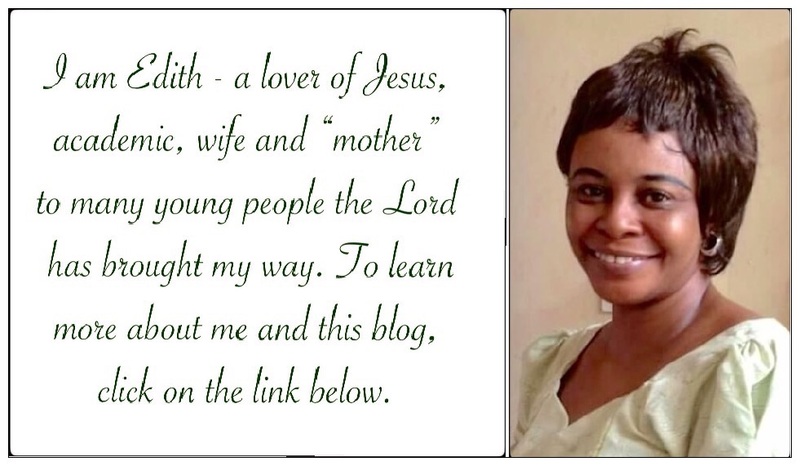 You are richly blessed in Jesus' name, Chinaza! wow, true love is sure a real thing most people do not understand. thanks for making people know the meaning of it. "True love is accepting,understanding and affirming".Accepting in the sense that they should recognize each other.Understanding in the sense that there should be mental,sometimes emotional process of comprehension between each other and affirming in the sense that there should be a declaration that what they feel for each other is true.This quote really struck a chord with me!..It helped to reveal the real meaning of "True Love"...Thanks a lot Ma. Lovely, Christiana! Have a great new week! If all these attributes can be attained, i think i'm seeing a near perfection. Nice quotes and clear facts. True love is rare and just very few are lucky to meet their soul mates. I really pray i get to live a truly loved life, love is beautiful with the right person. No 2 and 3 are the ones I relate with. Love is something I am always careful about, to avoid hurting someone else's feelings. Thank God for these quotes. We truly learn everyday. There are a lot of misconceptions about true love...most especially the romantic love and relationships nowadays...people go into relationships and marriages for the wrong reasons...I pray God blesses me with my true love and soulmate pretty soon! True love is not vengeful. Rather, it freely forgives. I love these words. For many, it is always the other way round. A very nice one. True Love is something everybody wants , but not everybody is willing to pay the sacrifice. One problem, however, in our society is the inability of some persons to Understand what Love truly Means. I don't claim to have a monopolistic understanding of the concept, but I know many dont understand the true meaning. Such persons ,with shallow understanding of the concept, go ahead to misinterpret the biblical assertions about love. I love these quotes but quote 3 really got me. True love brings others before its self. I've seen people who appear to be in love but are so selfish and inconsiderate. This kind of love seeks the good of others rather than ones good alone,true love stands no matter the situation. Thank you. Feel blessed to have you educate me on true love, this is a nice piece also True love comes from God. Wow, i have learnt new things again about true love. i will go with the 5th and 9th which said;true love is consistent. it does not wax and wane wit situations and season and that is basically truth. and the 9th that said;true love may not be picture perfect but it will precisely suit your needs. True Love can truly come from God because human in one way or the other is guilty of one fact here. True love forgives without revenge, True love continues till ages past, True love dosent Look back to the past, its unconditional. May we always find true love lord! True love has different meanings and attributes. True love is accepting, understanding and affirming. It forgives freely. There is a big difference between love and lust. True love is hard to find. God is true love. He died on the cross for our sins. Thank you ma for enlightening me more on what true love is. 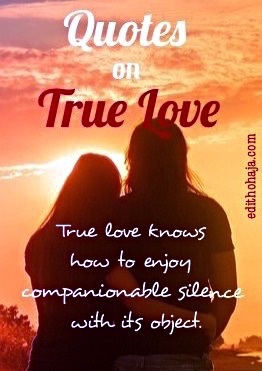 Very insightful piece you have here Edith ..True love theses days are misunderstood and misinterpreted but with God's guidance we can tell the difference between true love and infatuation. True love never dies or grows old but the objects can. it is different from infatuation and crush. God is love and love is God ,true love is everlasting, nice piece. This captivating. I recommend this quotes on truelove for anyone who is confused and wants to know what true love is. May God strengthen us to love truly and not by lust. Indeed true love is consistent. It does not wax and wane with situations and seasons. Anyone who loves you will be with you through thick and thin. This is beautiful it clearly states the diffrence between love and lust. thank you ma ,this is an eye opener. "True love is not a flash in the pan: it lasts till the you're old or grey." I love this! After what the bible says on true love,i think this post is another interesting piece on true love .with this one can know the difference between true love and lust.this post should be a must read for those who seek true love. True love is kind, it covers everything. True love never fails, it is perfect, it brings happiness. And that's the kind of love God has for us!